Ah, the crow. 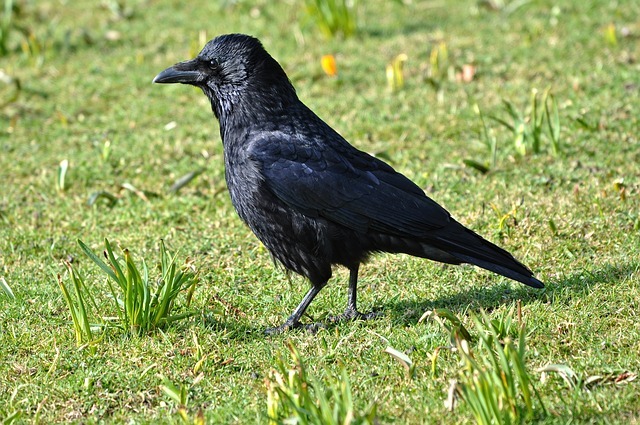 This is one of British Columbia’s most infamous birds and part of the genus Corvus, which comes from the large family of medium to large-sized birds known as Corvidae. There are some crows that have actually become celebrities on social media, such as Canuck the Crow who befriended a local Vancouver BC man, Shawn Bergman. However, the unfortunate news about every other crow out there is they can be as aggressive as seagulls if they choose to nest close to your home or office building. They tend to lay their eggs between the early spring and late summer months, and they will attack anyone or anything that dares to come near its habitat. Crows are very intelligent birds, well known for having an excellent memory. This enables them to remember where they can find plentiful food sources. However, these food sources include garbage cans and dumpsters where they’re less than a welcome presence. They prefer to nest high in tree tops (Stanley Park is one of their favourite locations in the Vancouver area). Crows have the ability to nest everywhere though, so having them near your restaurant is not a good idea! Crows are scavengers by nature and they’ll take any litter they can get their beaks on and drop it in places where litter is not welcome. Some of this litter includes dead snakes and other ‘yummy’ roadkill too! This is dangerous, because it means people can pass by your building and assume you’re trashy—we know you’re not, but they don’t. While crows are not nearly as pesky as seagulls around buildings, they can sure cause a scene with them! These natural enemies can cause quite a ruckus, to the point where a phone or TV isn’t necessary to get your source of entertainment. Like seagulls, however, crows don’t care where their poop lands—including on your own head, or the roof of your building. To them, it’s the easel for their latest Jackson Pollock recreation. Also like seagulls, the crow is a legally protected bird in British Columbia, so no harm must come to them. If they’re making your building a nest, however, that’s technically a pest problem as well as a potential danger to humans. In 2017 a woman was attacked by a crow from behind, to the point where blood was drawn—this is also something that can happen. Not every crow is a pest, such as in Canuck’s case, but not every crow is Canuck, either. If the Hitchcockian scenario we described above is something you don’t want, or there’s an attempted murder (a group of crows) happening near your building and causing you and many others some grief, call your local Pest Boss. We can relocate the crows to their natural habitat—the woods—humanely. We’ll get you, varmints!